Netzer Olami is the worldwide youth movement of the World Union for Progressive Judaism. Today there are over 16,000 members active in our different sniffim (chapters) that are located in more than a dozen countries around the world. Netzer Olami is the Zionist youth movement of Progressive Jews throughout the World. It is the youth movement of the World Union for Progressive Judaism and of ARZENU, the Zionist arm of the worldwide Reform movement. Throughout our various sniffim, we run weekly meetings, summer and winter camps, residential Shabbatot, hadracha (leadership) training events, activism days, study events and seminars. Netzer Olami works to bring young progressive Jews together in both ideological and practical ways, with Israel as the focal point. We encourage chanichim (members) to come to Israel on short term summer tours, our long term leadership program – Shnat Netzer, and a variety of other seminars and conferences. Additionally, Netzer Olami provides shlichim (educational emissaries) to several sniffim. These shlichim help young people run their movements in their respective countries. 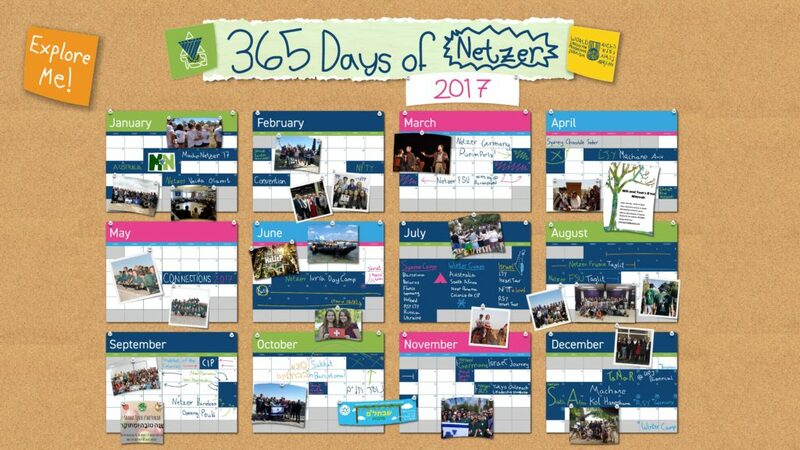 At Netzer, we believe in empowering our youth to take charge of their movement. In all our sniffim young people take responsibility for major decisions. Each year in Israel we host an International Veida (conference) where movement-wide policy is set by our leadership. We believe strongly in the ideology of Reform Zionism, and in taking an activist stance, striving to bring about the practical realization of that ideology in our world. Netzer Olami programs are supported in part by Masa Israel Journey, a joint project of the Government of Israel, the Jewish Agency for Israel and its partners, the Jewish Federations of North America and Keren Hayesod – UIA. Please fill out this form to share "Netzer Olami" via e-mail.